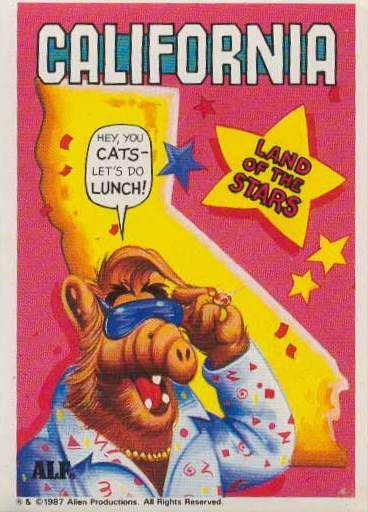 The Internet's best ALF Card Website! 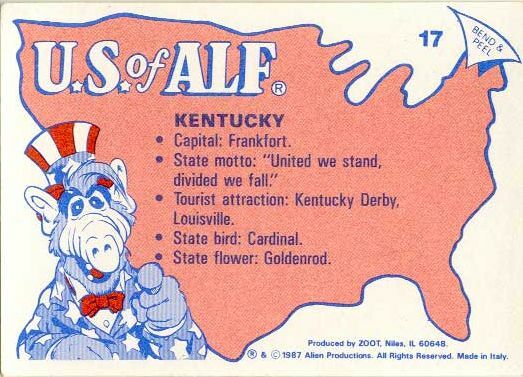 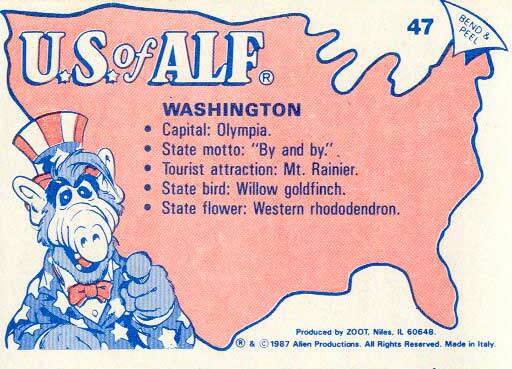 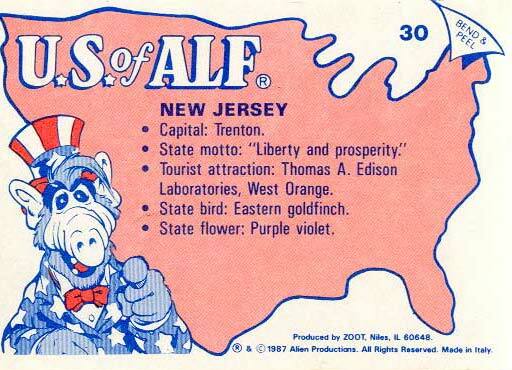 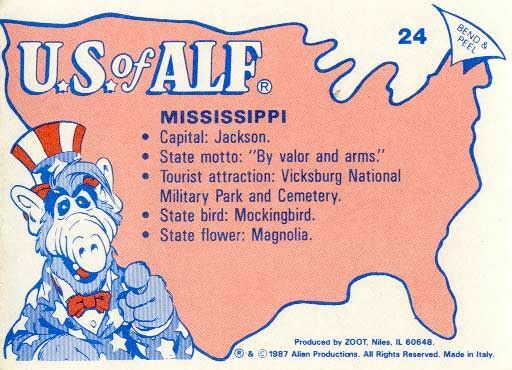 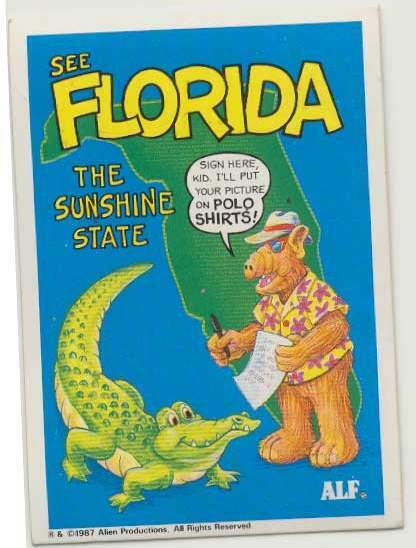 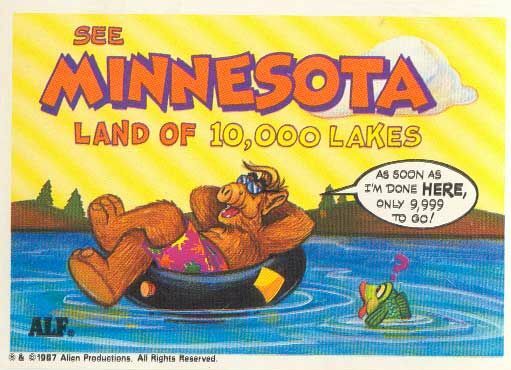 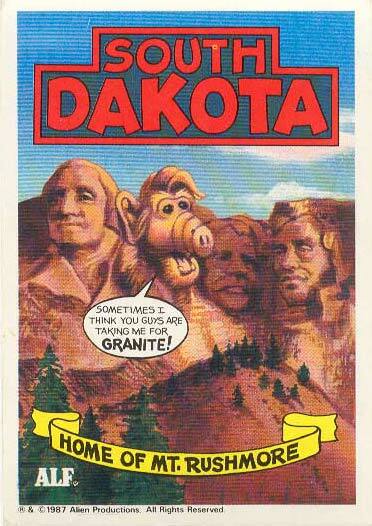 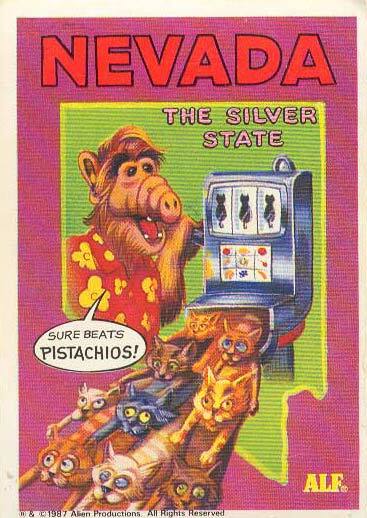 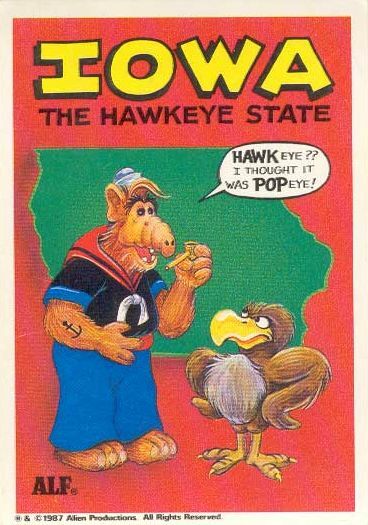 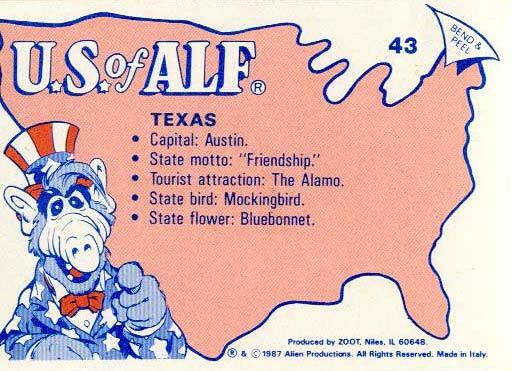 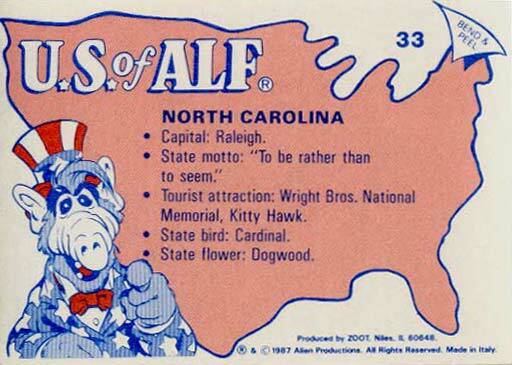 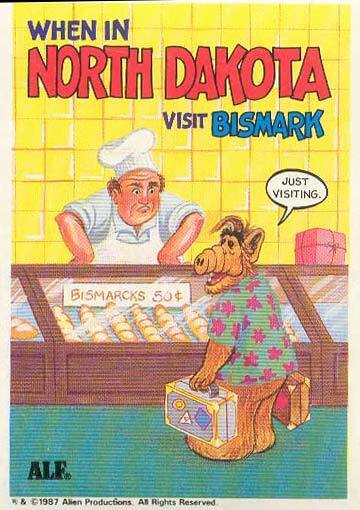 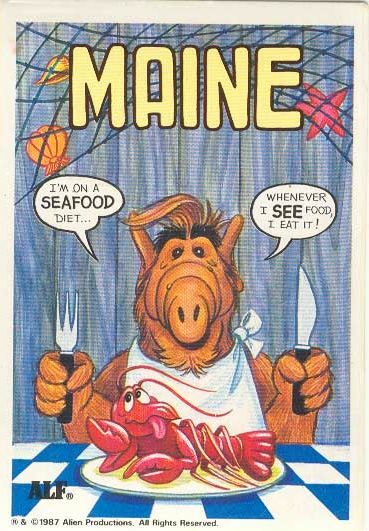 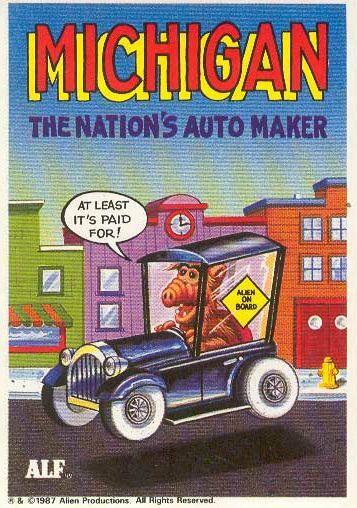 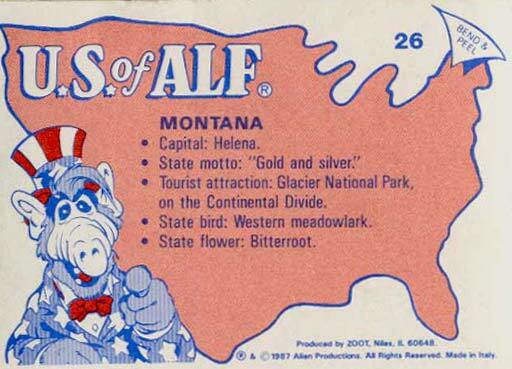 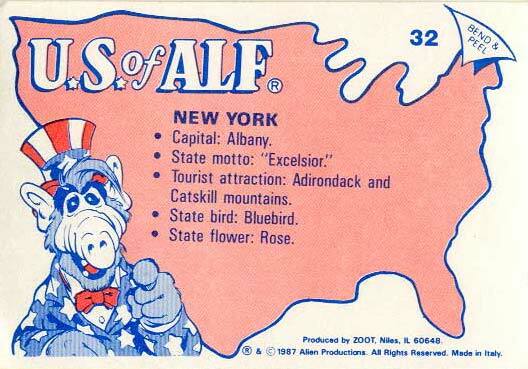 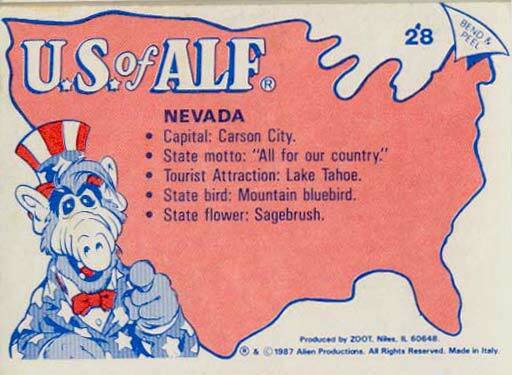 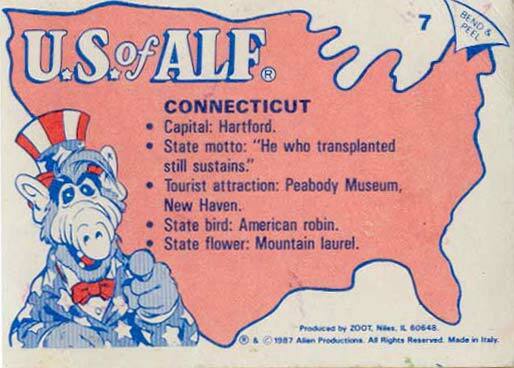 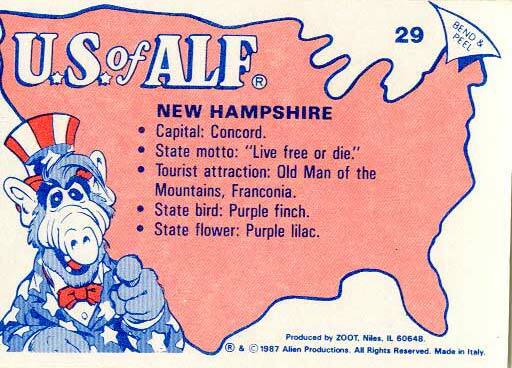 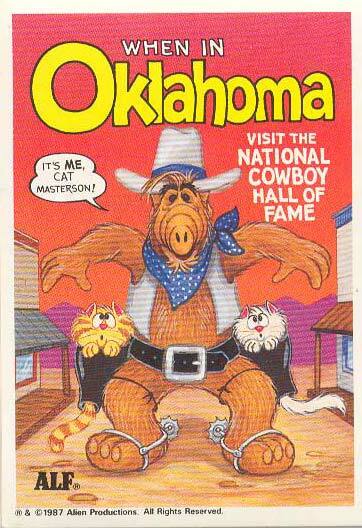 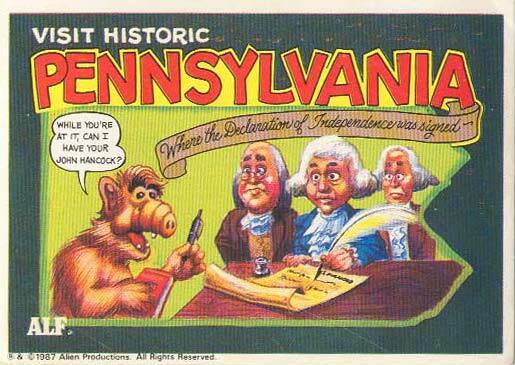 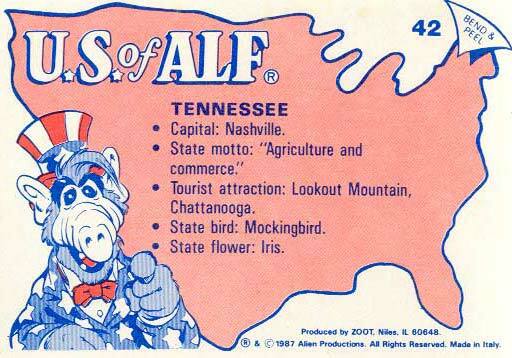 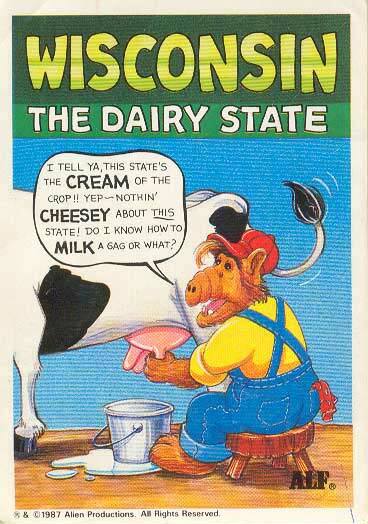 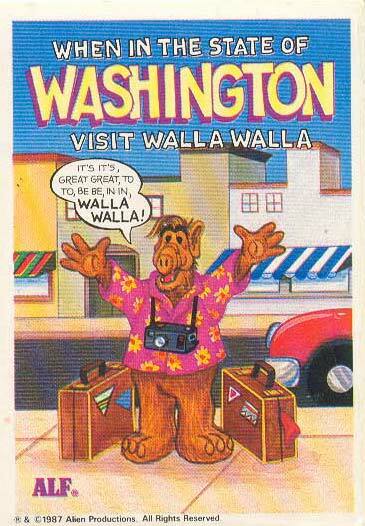 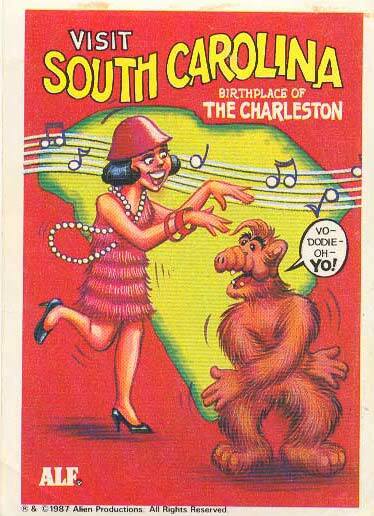 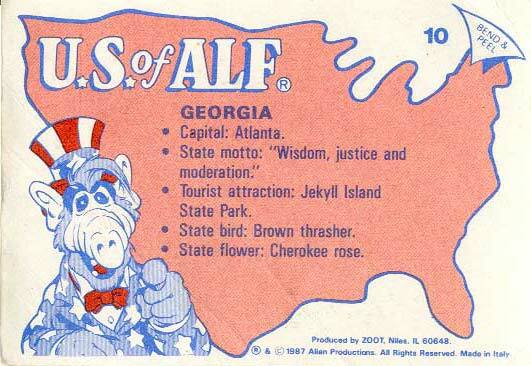 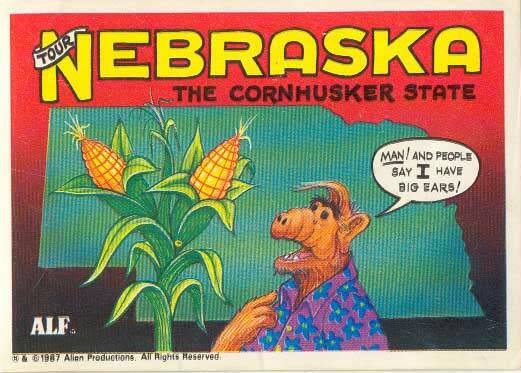 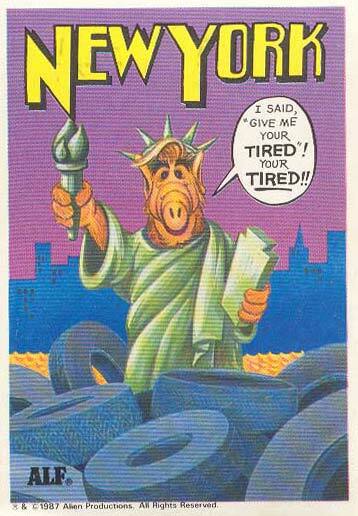 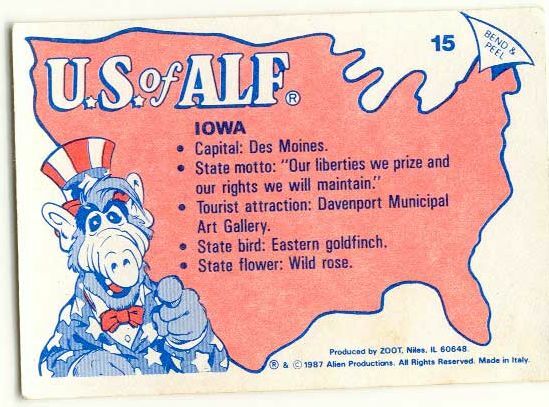 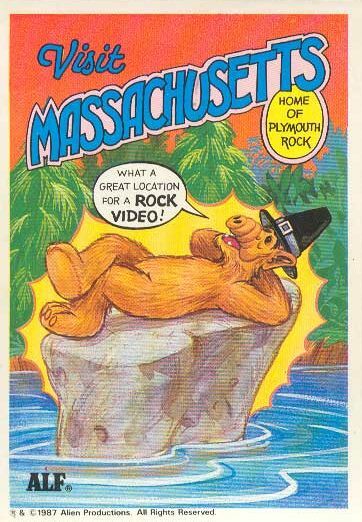 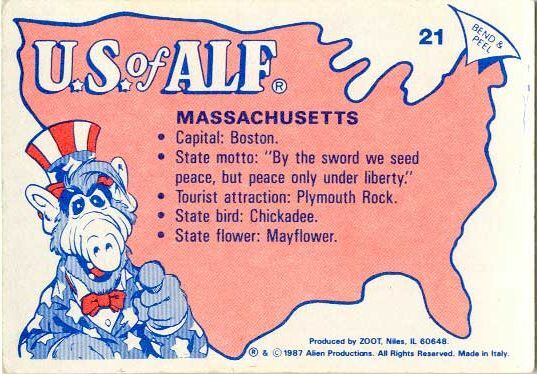 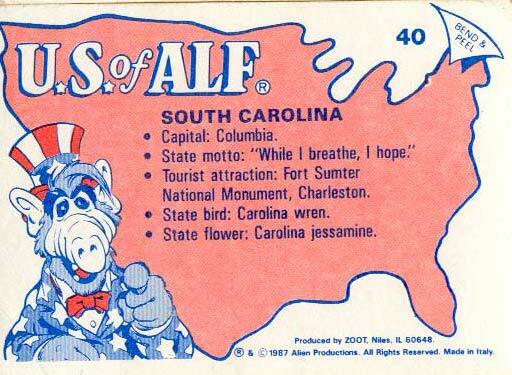 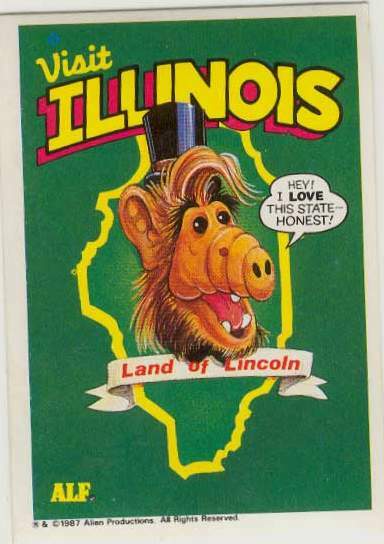 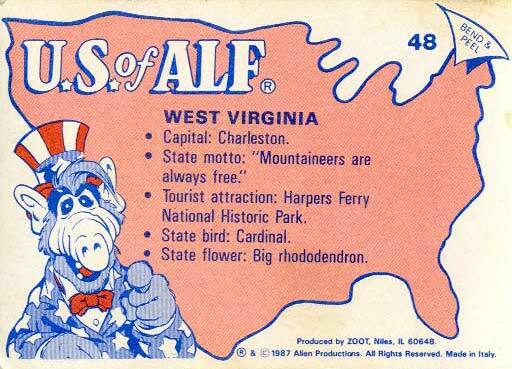 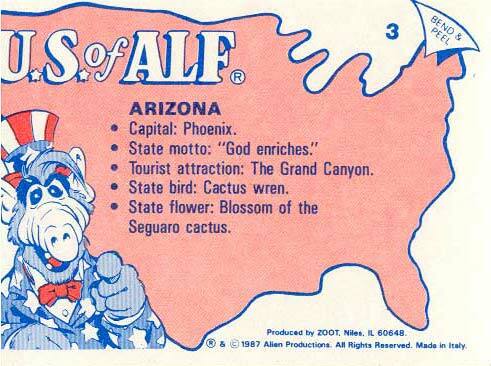 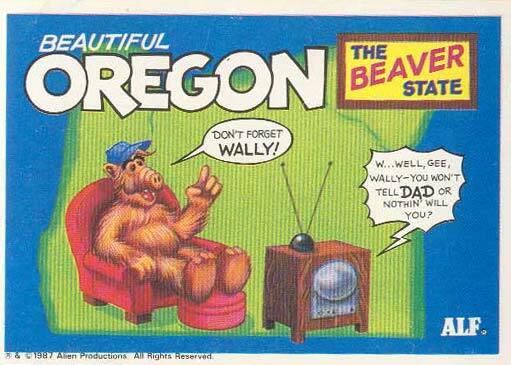 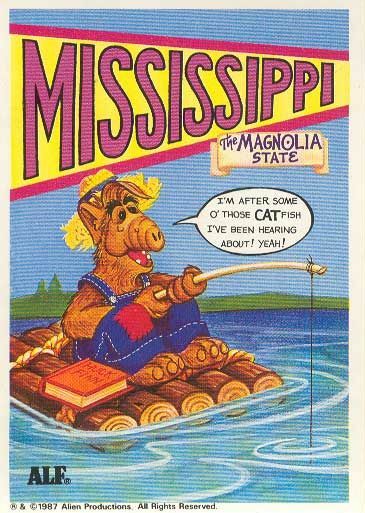 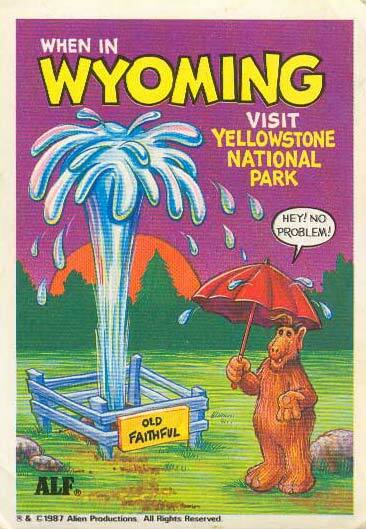 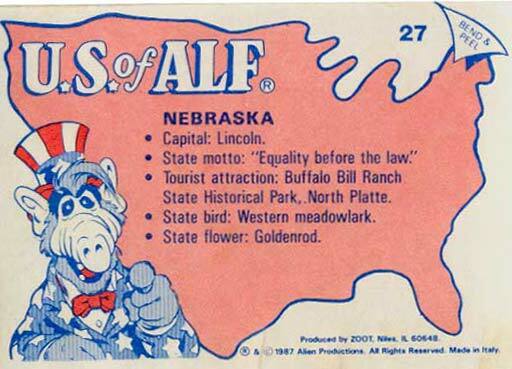 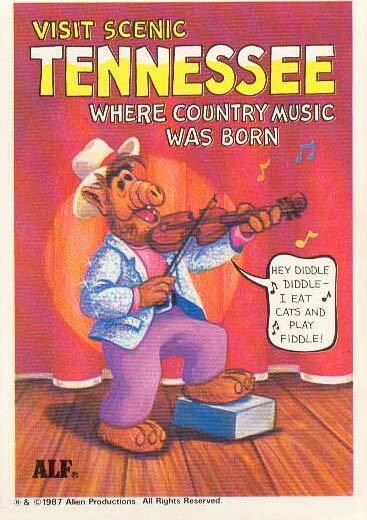 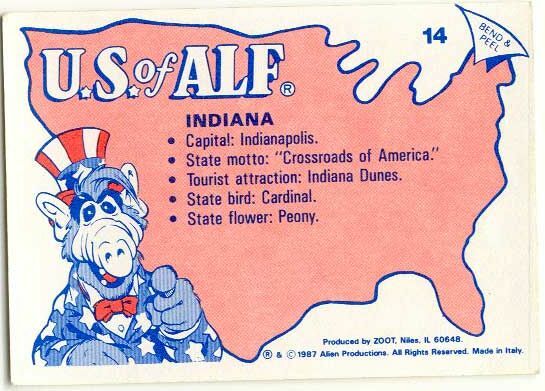 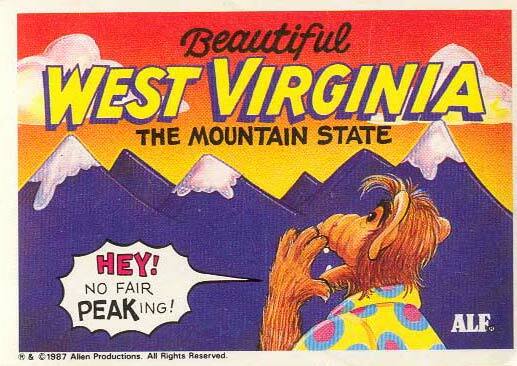 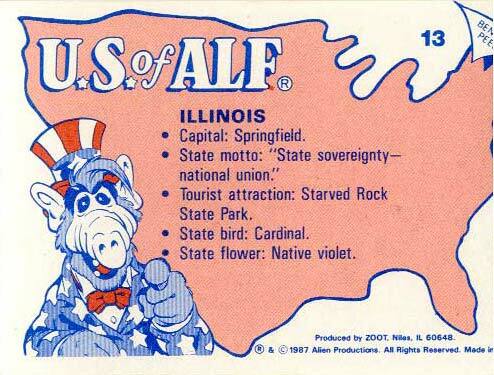 Welcome to the best ALF Card website on the entire internet. 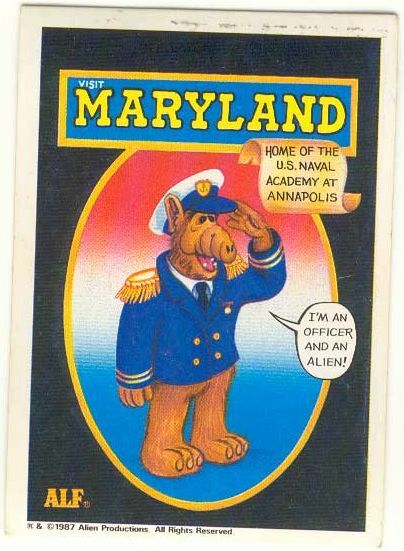 One day, Elise Zielsdorf (without whom this page would not have been possible) mentioned her love of collecting ALF cards in her youth. 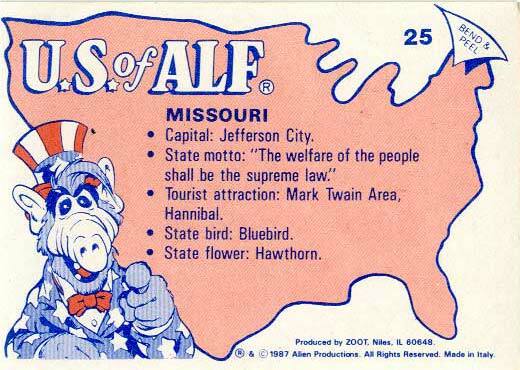 I had never heard of said cards, and demanded to know more about them. 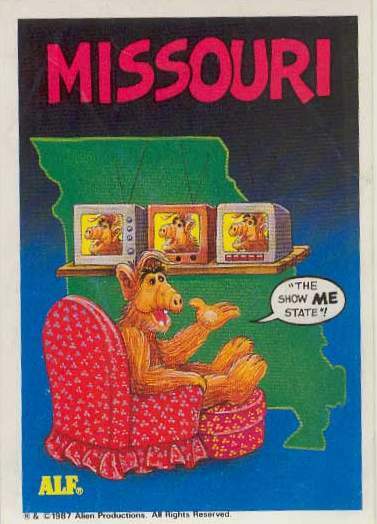 "They're these cards with ALF on them! 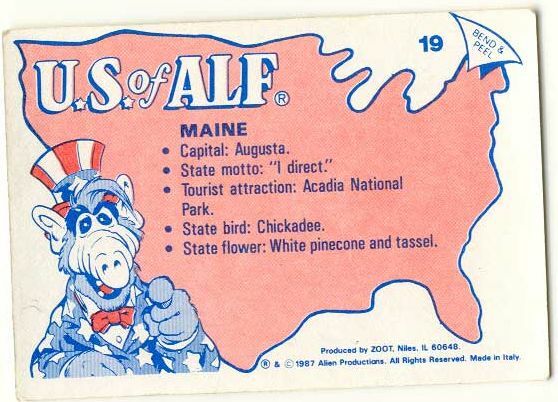 and there's one for each of the 50 states, and it has stats on the back!" 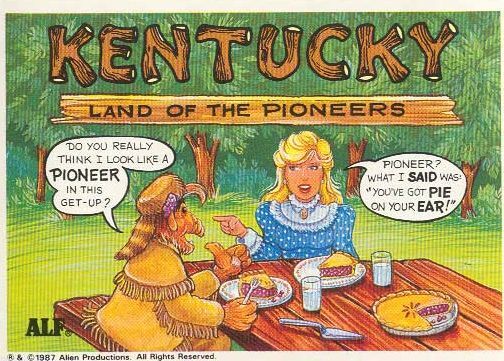 She exclaimed. 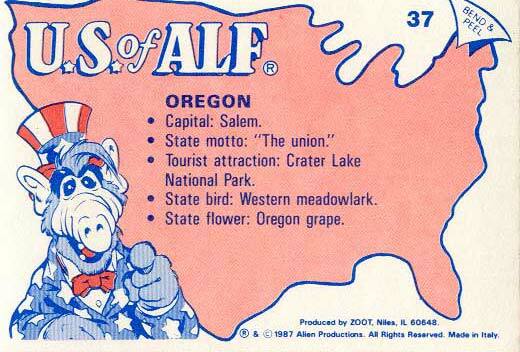 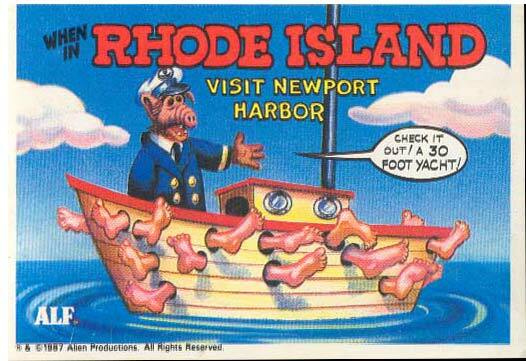 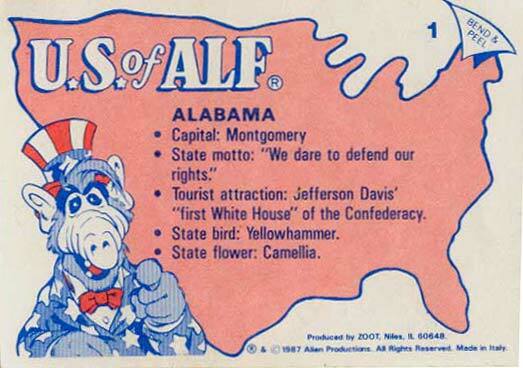 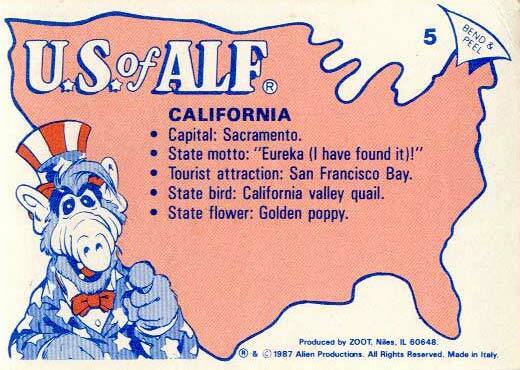 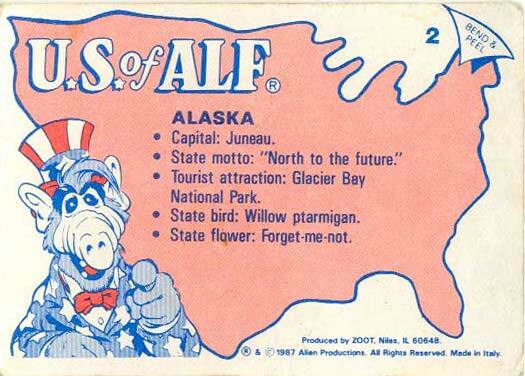 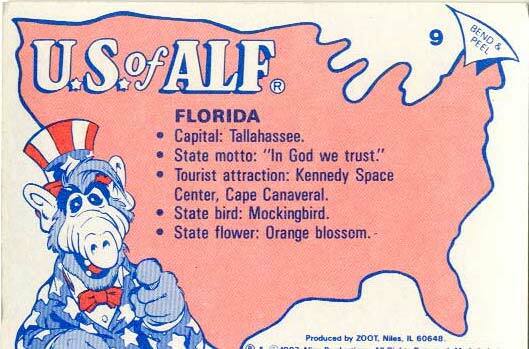 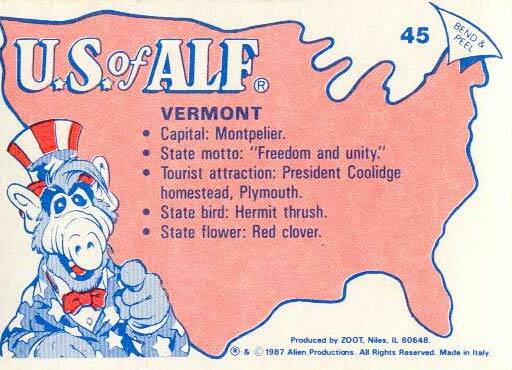 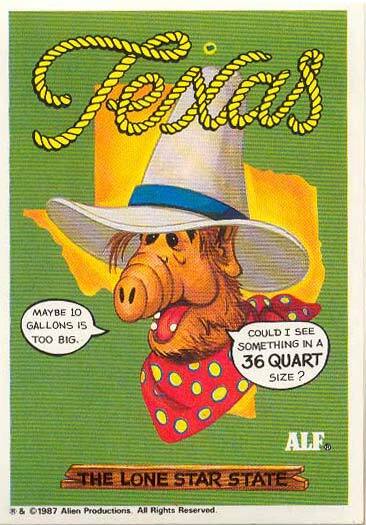 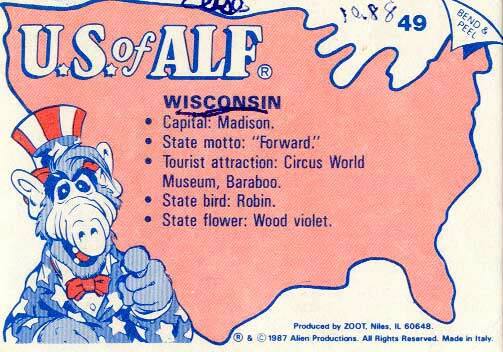 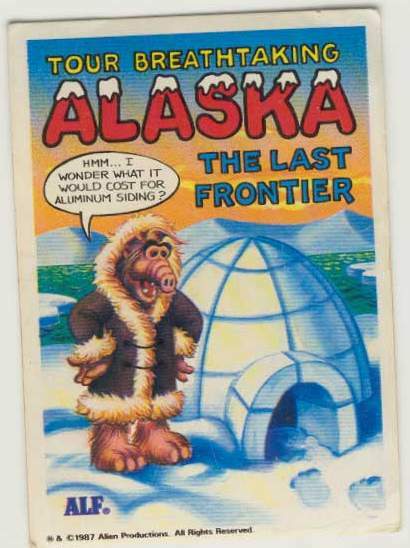 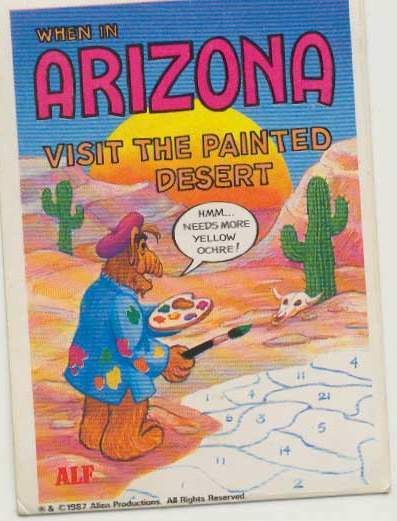 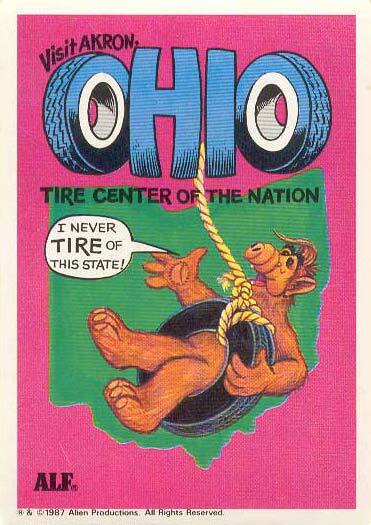 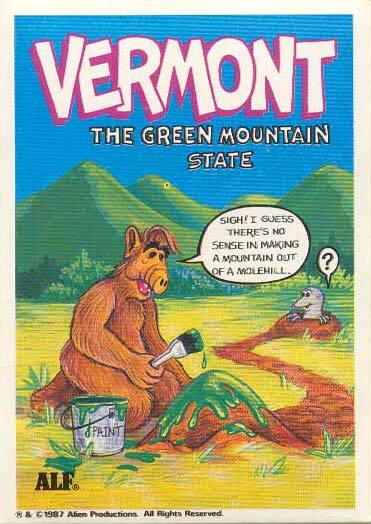 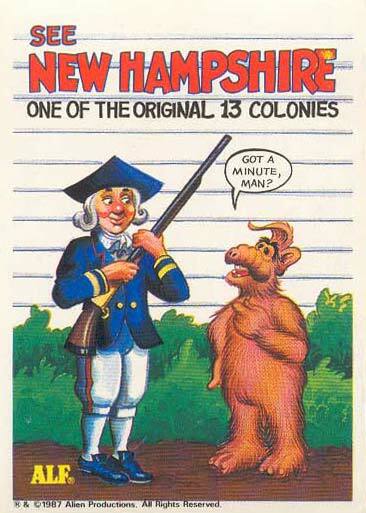 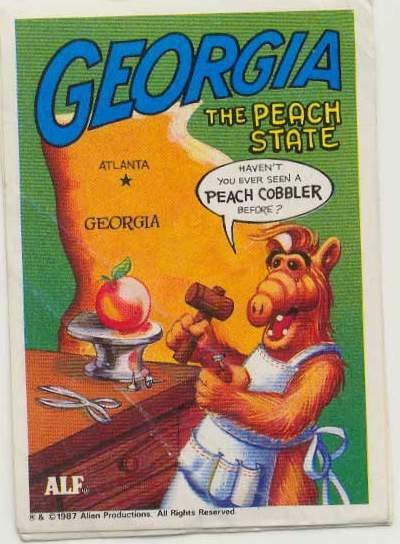 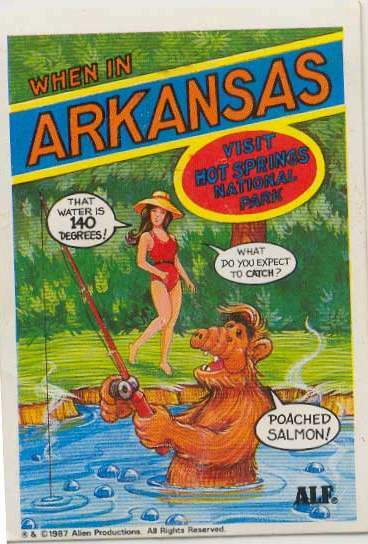 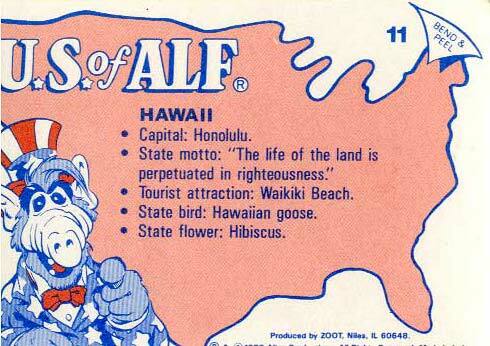 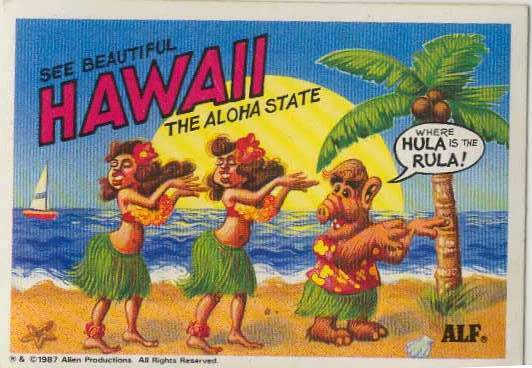 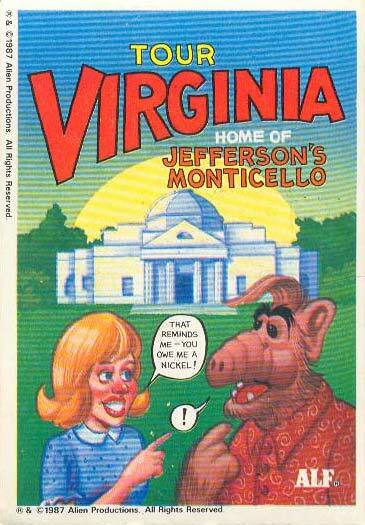 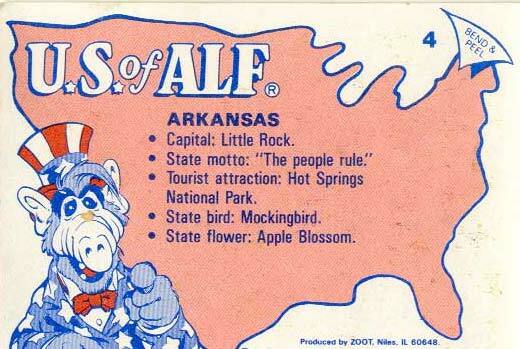 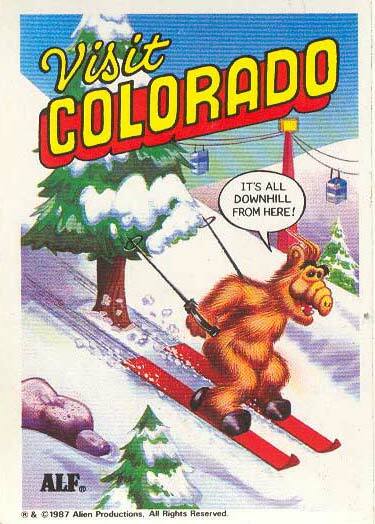 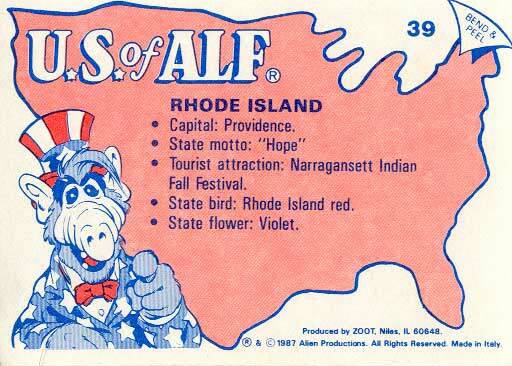 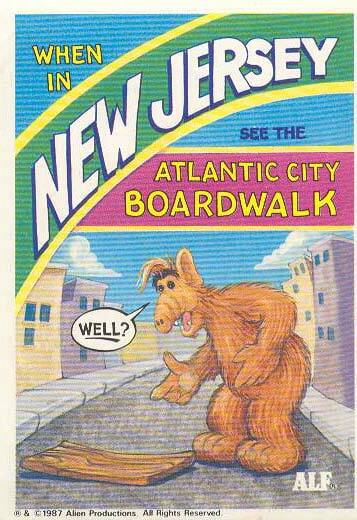 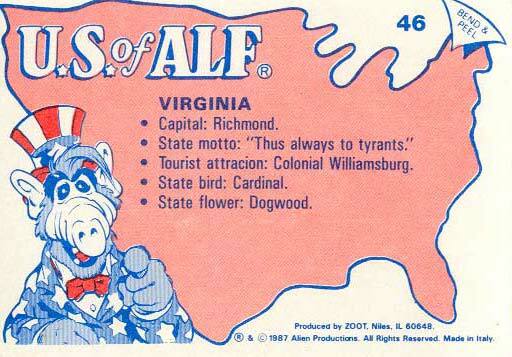 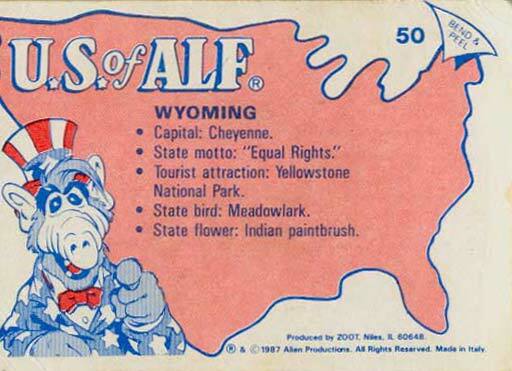 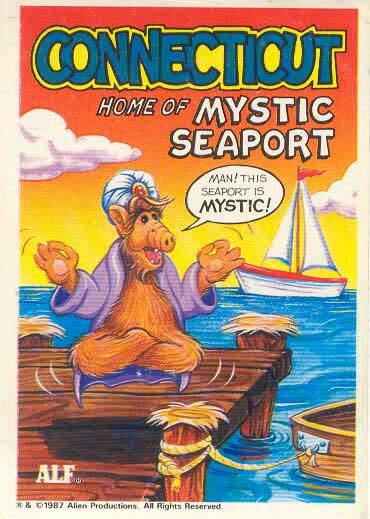 I immediately looked on the web to see if I could find these mysterious ALF cards, but to no avail! 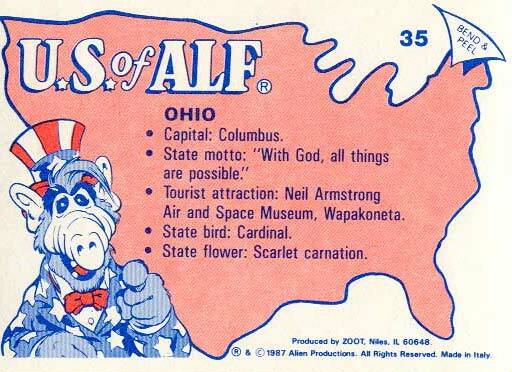 The internet was void of all useful ALF card knowledge! 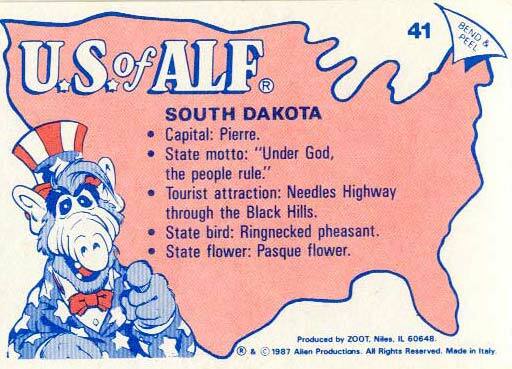 Thus... this page is born. 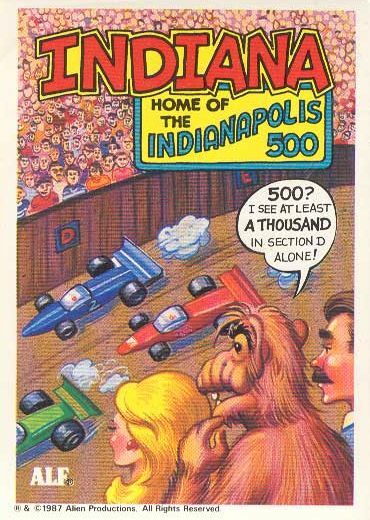 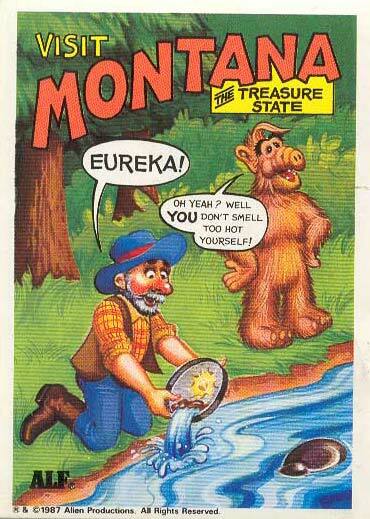 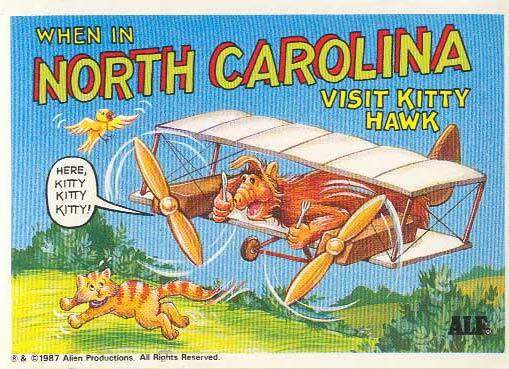 I have lovingly scanned in each of the 45 cards that Elise managed to dig out of her parent's basement. 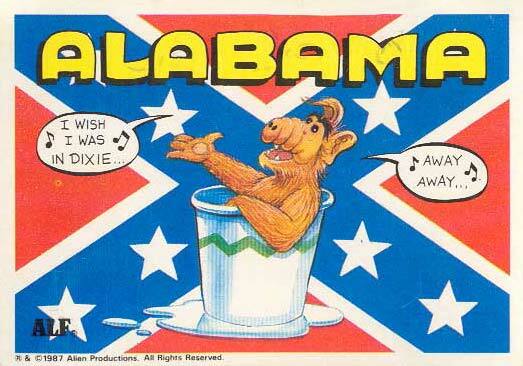 Warning: The jokes are bad. 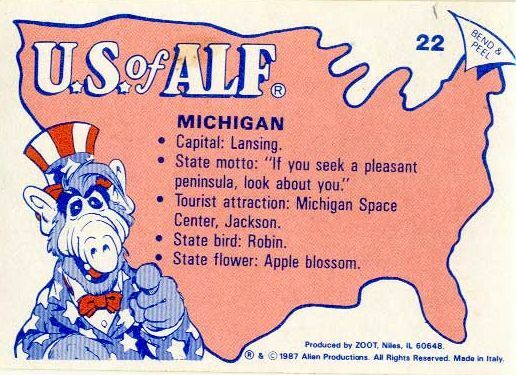 * If you have any of the five missing states, please email me!